You could certainly make a case that Neil Armstrong achieved a greater degree of fame -- and, quite possibly, of real accomplishment -- than any other civilian federal employee in history. 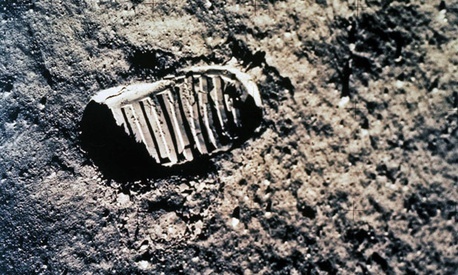 Indeed, there has been speculation that he achieved notoriety, in the form of being the first human to walk on the moon, precisely because he was a civilian at a time when the military wasn't held in as high a level of esteem as it is today. Armstrong was a rarity in the early days of the space program, in that he didn't come directly from the armed services (although he did serve in the Navy during the Korean War). He went to the moon as a civilian NASA employee, just like the engineers who made his trip possible. If Armstrong was in fact the most famous fed, he wore the honor well -- and in exactly the way you'd expect a true public servant to act. He stayed out of the limelight, downplayed his accomplishments and credited the work of others. Above all else, Megan Garber notes today in The Atlantic, he was a "reluctant hero." "The tension Armstrong embodied so succinctly -- publicity on the one hand, humility on the other -- is dissipating," she writes. "The humility factor is dissolving into a culture than often equates fame with power. Our current icons are less the people who have been called to duty, and more the people who have battled their way into it -- the subjects, rather than the predicates, of their own greatness. The reluctant hero is diminishing. Armstrong's passing signals an end to that myth." But there are plenty of humble, unnoticed and generally reluctant heroes in the federal government. After all, do you know the guy who expedited the immigration process to unite Haitian children orphaned after a 2010 earthquake with their families? Or the woman who led U.S. and international efforts to deal with a potential flu pandemic? Or the man who led the Mars Rover project? (Hint: They're all federal employees, and recipients of Service to America Medals over the years.) They, and many others like them, don't seek power or publicity -- just the opportunity to make a difference. Previous Post | Wanna Buy a Heating Plant?